9 Ingredients, 9 Recipes, 9 Weeks, let’s get cooking! Cooking Goals focuses on developing functional life skills through teaching the principles of meal preparation, organisational skills, time management and development of social skills. Working in small groups, participants will follow step by step instructions throughout the preparation process, from chopping to cooking and finally serving and eating their meals together. Cooking Goals encourages participants to learn these functional skills, experience the joy of cooking and be able to share this experience with friends and families. At the end of the program, participants will be provided with a recipe book with step by step pictures of each meal they made during the program. 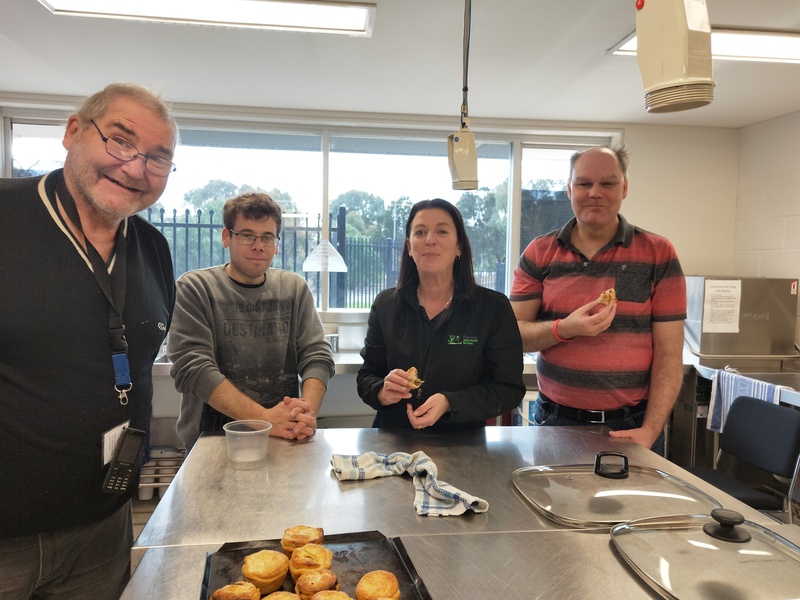 Facilitated by our Therapy and Mentor teams, Cooking Goals can be funded by a National Disability Insurance Scheme plan.